Students stranded at two Rakiraki schools because of floodwaters were transported home by a truck late yesterday. When the Penang Sangam Primary and Secondary School students went to school the weather was fine. Then it started raining again at 11am. Naqoro Flats from the Rakiraki Town side were flooded again. A Rakiraki mother, who did wish to be named, said her girls arrived home late with their uniforms and school bags soaking wet. She said that by 11.30am, the town was closed down. By late yesterday, more rain fell in the Western Division. The Fiji Roads Authority’s situation report yesterday afternoon said 11 roads were closed in Rakiraki and one in Tavua. Rakiraki Town was opened for business yesterday morning but had to close down by mid-afternoon as floodwaters rose. In Tavua, a landslide and floodwaters had closed a road in Nasomo. 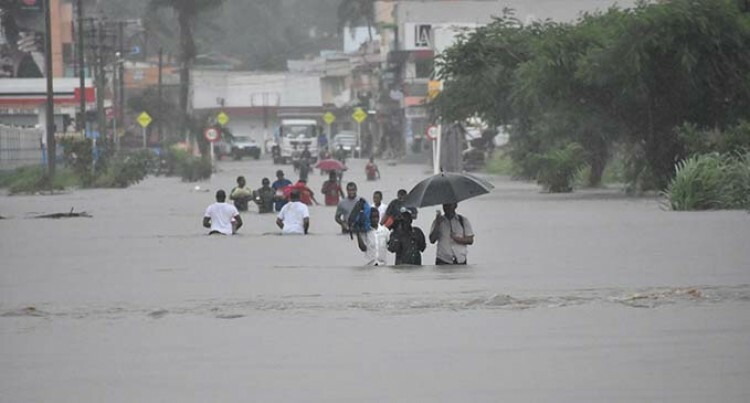 The Fiji Meteorological Office in Nadi said a flood warning for the downstream areas of Vatukacevaceva Pump Station and lowlying areas, small stream adjacent to Rakiraki Town was still in force by 5pm yesterday.